Ooh, that looks pretty good! As I mentioned before here is my entry. Brand new Tamiya's M3A1 Scout Car. 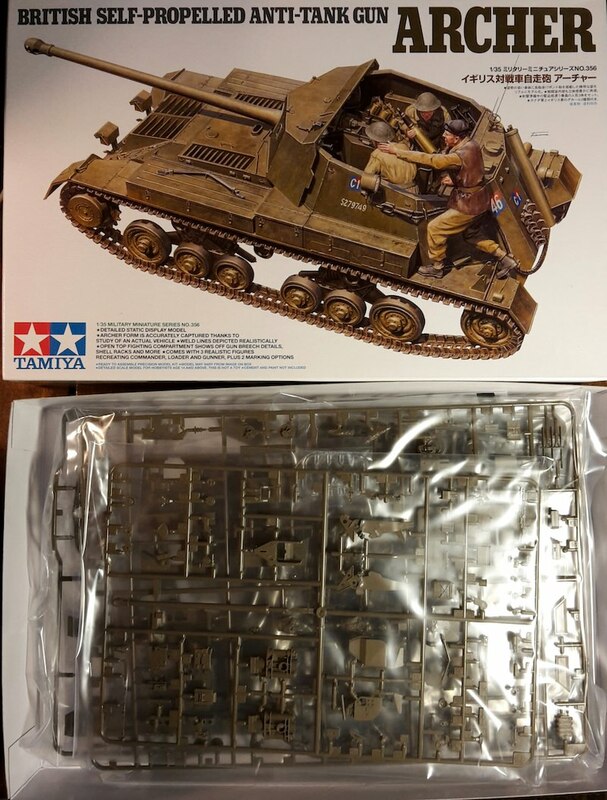 It will depict recon vehicle from 2nd Armored Division in Sicily 1943 in Olive Drab and Sand camouflage. In fact, that was the last main engagement where the US Army used this vehicle. It has been soon after phased out by M3 Halftracks and M8 cars. This is my choice for the campaign. The machine will consist of a Panzer Regiment.4, that fought the Anzio battle. Interesting kit choices, I have some of them in stash or planning to buy so looking forward to your builds. 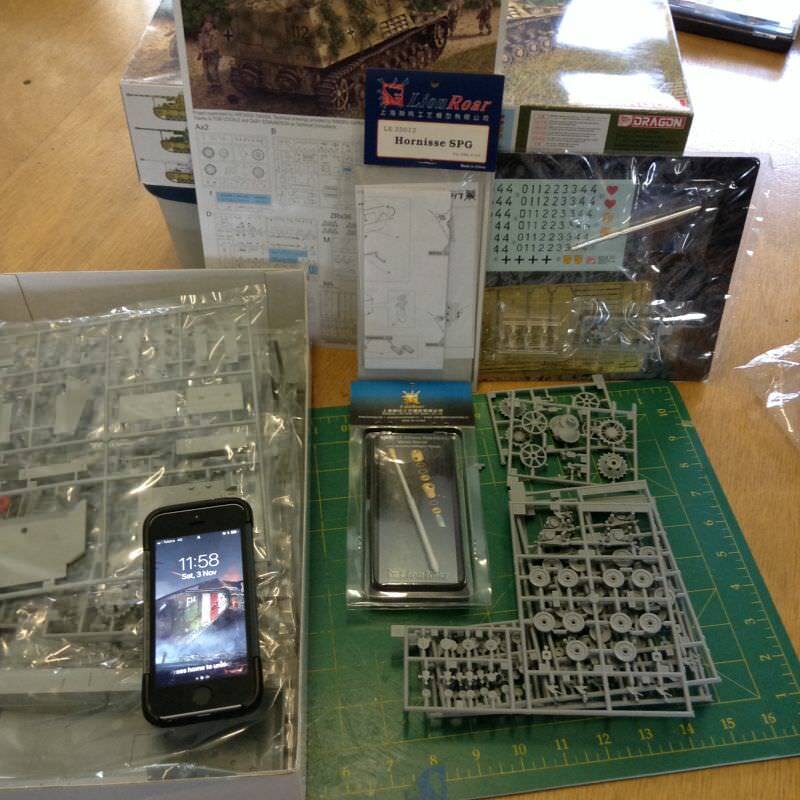 I'll build Tamiya's Archer, which was bit surprisingly my only kit suitable for the campaign. That will be an interesting entry for sure. Looking forward to it!. 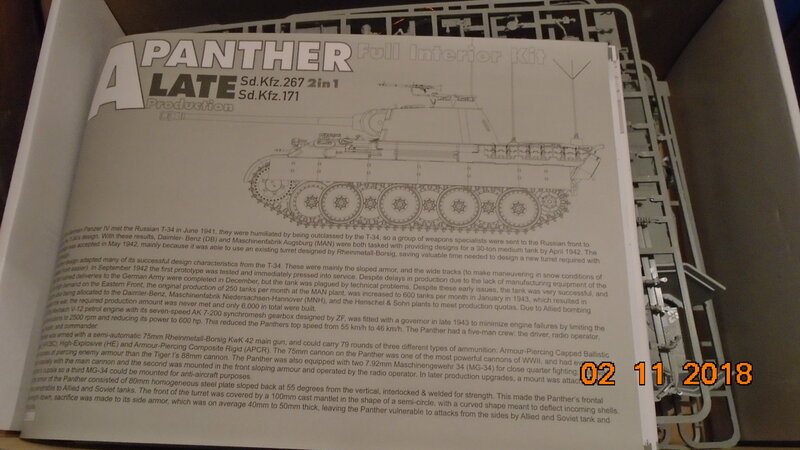 I'll be looking forward to seeing how your Meng Panther goes together. I have yet to build anything by them. You must have an interesting stash. I'll be cool seeing your Archer come together. Some really nice choices here. Woohoo! Can't have an Italian theater build without her. Thanks, Peter. These photos will be very helpful. Rearmost radio set is SCR-506, while the front one is SCR-508. Sometimes, instead of the latter one was used SCR.-510 installed on the side of the vehicle. A lot of fun ahead of me. Here is my official entry into the build. 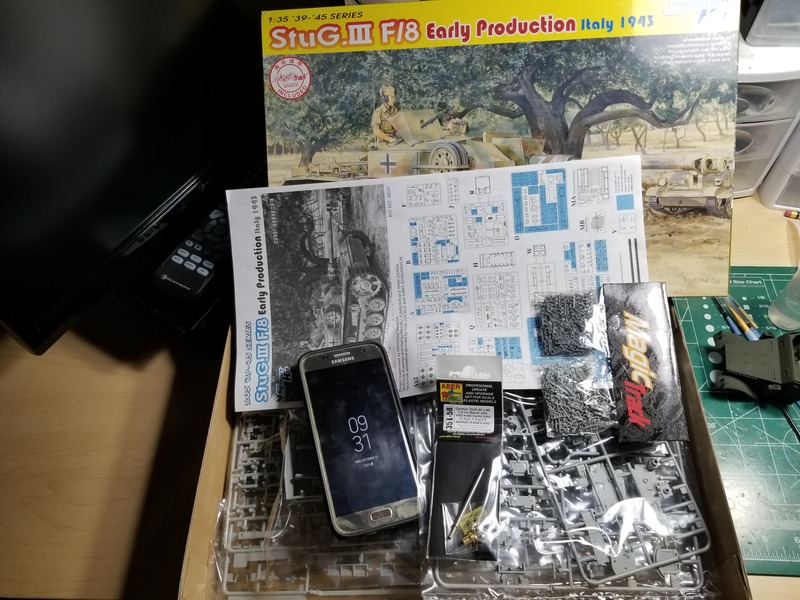 Tamiya's kit #35325, the Sd.Kfz.184 "Elefant". Will be adding a metal barrel by Abe, Masterclub metal tracks, and PE from Eduard. My entry for this campaign is Dragons StuG III F/8 Early Production. Im replacing the stock barrel with a Aber barrel. First time implementing a AM barrel. Road wheels and drive sprockets ready for painting. The unique Porsche torsion bar suspension installed. Gaz,I've only heard good reviews about Meng's Panther. Hope to get it. Shell, I've dreamed of K5 for several years. 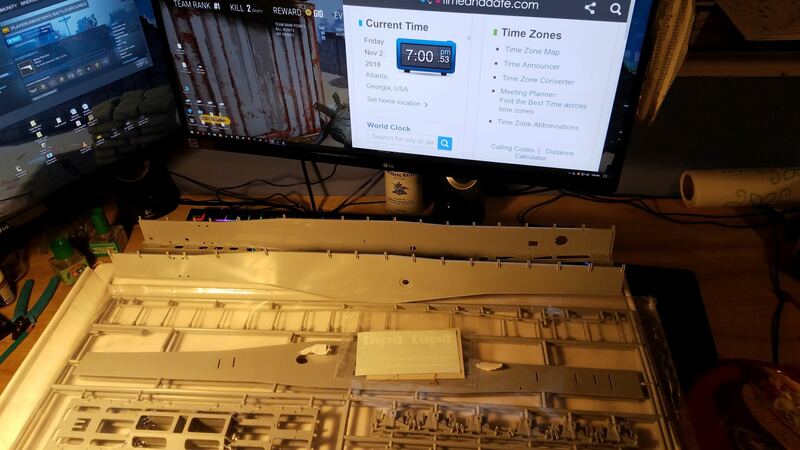 Only its large size in 1/35 scale stops me from doing so. Congratulations. Would you say who made the model? Mine is the Dragon version. I had misplaced the instructions when I took the pic. 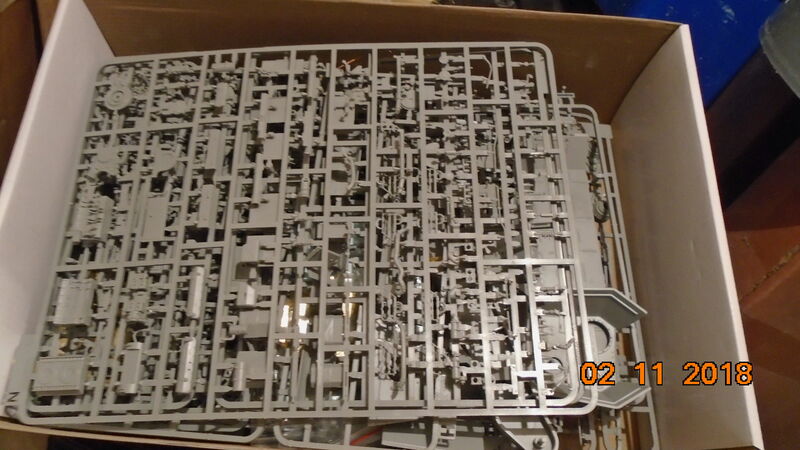 Trumpeter makes the more detailed version, but as I got mine off ebay for $50 I am not going to complain. It is indeed big, but I actually have a number of kits that make it look small. It's great to see so many firing up early on. 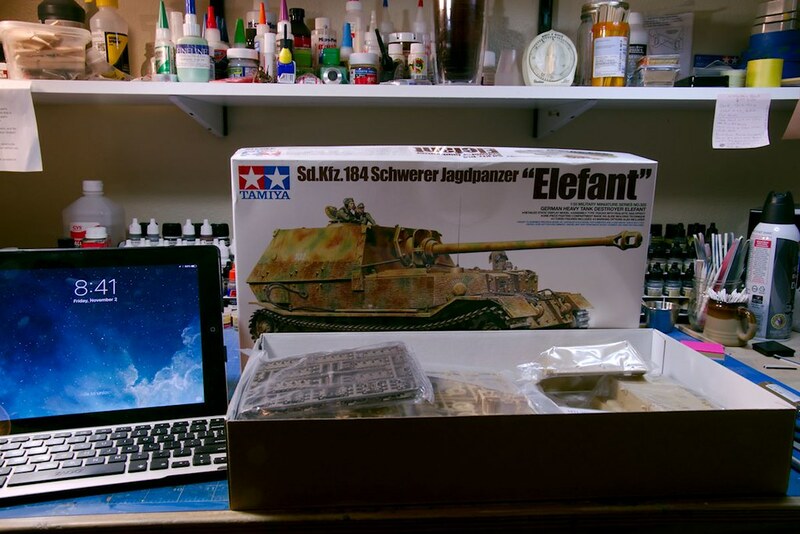 That AM should add some great detail to your Elefant. That's a great start on your Elefant! I always thought the Porsche suspension looked suspiciously un-robust. The Meng kits look great. 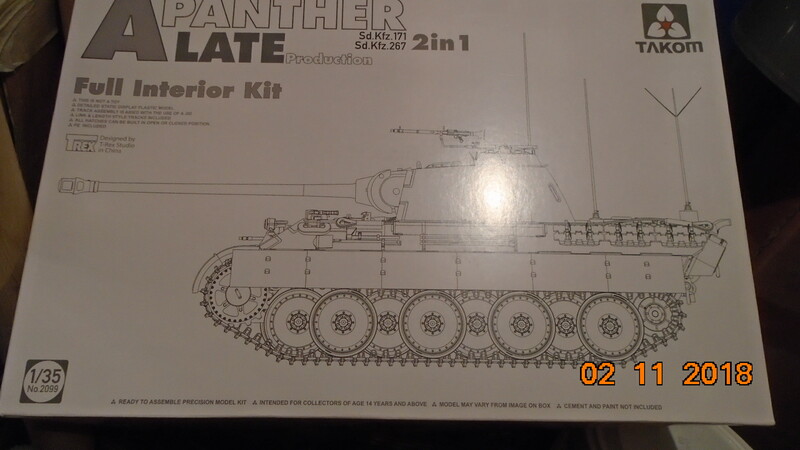 But with two panther's in the stash, and Meng's separate guide horns for the tracks... I'm not in any rush. If you have kit's that make Annie look small, the mind can only struggle to imagine what they are. Once you have seen the results, you will wonder why you didn't use them earlier. Aber are particularly nice barrels and detail is way superior to the kit parts. However, just a heads up, this particular set was reviewed here and the fit of the barrel to the collar was said to be an issue in the sample set, so check yours. You might find you need to sand the barrel part where it goes into the collar (don't turn out the hole as the reviewer suggests as emery paper rolled around the barrel end and then turning the barrel in the emery paper tube is far better for these issues). Well, the Italeri S-100 German torpedo boat is about 39 inches in length, and much wider than the K5. And that is just one example. Is was good to see your entry at the club meet yesterday. Some day, I'll be glad to see it in a completed condition up-close-and-personal. I've created a stats page on the opening thread of this campaign. Please feel free to notify me of any mistakes. My submission. I am using the dragon kit for the base. 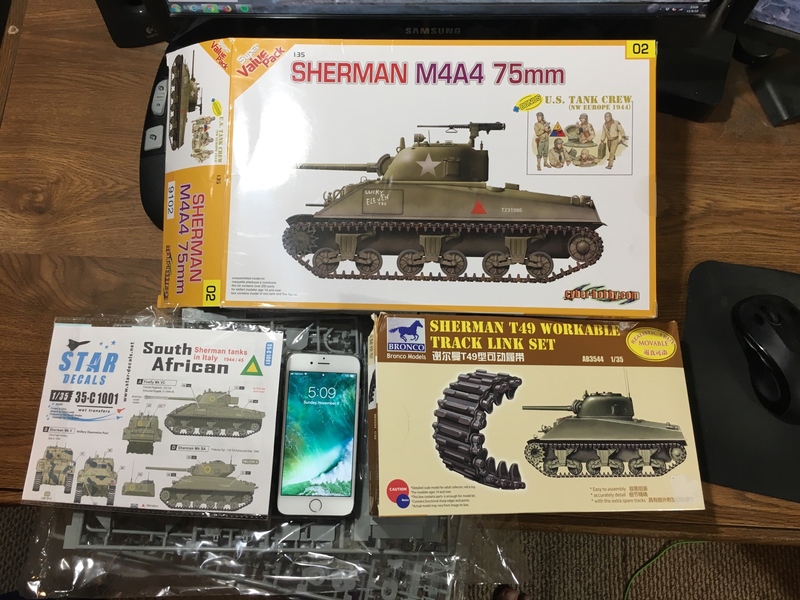 I have Bronco tracks, Star Decals for the tank I am building and not visible is a turned barrel. Will commence construction likely next week. This weekend has kicked my bum. Welcome. Glad to see you and your Sherman.